If you’re like me and you like delighting friends and coworkers with fun little nuggets of information like the truth behind baby carrots or the surprising origins of Abercrombie & Fitch (I know, I’m fun at parties) then you’ll appreciate this series of posts inspired by obscure days celebrated in each month. Read on to find out how you can celebrate this July with chic and affordable fashion. National Simplicity Day is July 12. The day is dedicated to transcendentalist Henry David Thoreau who basically did what a lot of us would do if it were socially acceptable: he escaped the misery of the six-day work week, built a cabin out into the wilderness, and developed his interests in philosophy and literature. Thoreau’s 1854 book, Walden, described his experiment with this minimalistic lifestyle immersed in nature, which later became influential for environmentalists and naturalists. Thoreau and his fellow transcendentalists believed that people were inherently good and were only corrupted by society (hence the need to be forever alone in the woods somewhere). 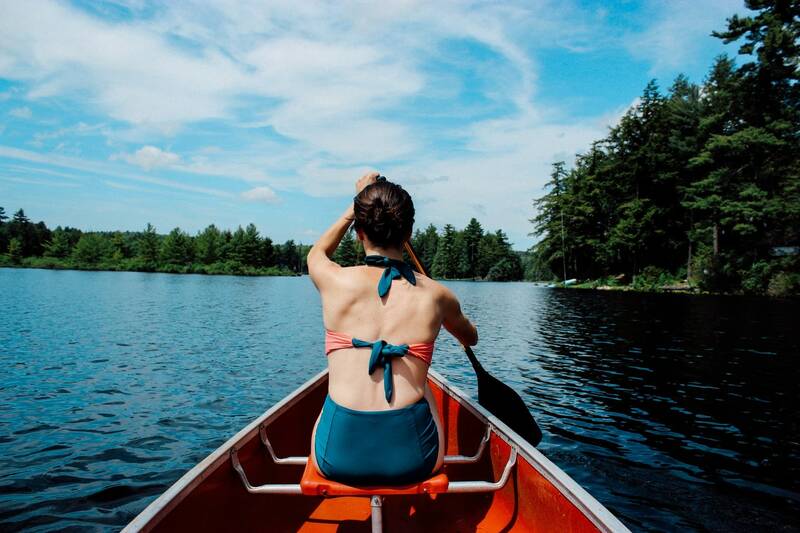 For us, National Simplicity Day is a chance to take a step back and simplify life. 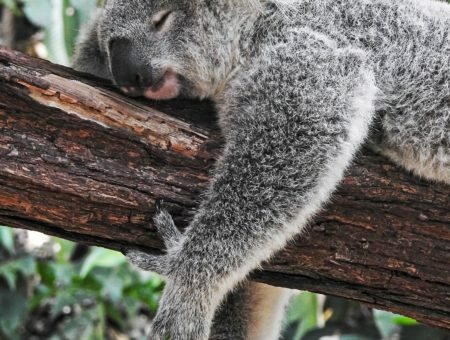 From enjoying a hike to meditating, there are many simple ways to reduce stress and get away from the daily hustle and bustle. Take time to revel in the small things in life that may be as small as smelling lavender in a garden (without trespassing!) or eating this lavender ice cream. This day is the perfect excuse to throw on a simple, no-fuss look. This black shift dress saves you the trouble of matching tops and bottoms. Earthy tan sandals are comfortable for when you are frolicking in the meadows, taking in the sweet sunshine and fresh air. Inspired by nature itself, this dainty floral purse is perfect for storing only the necessities, and the layered golden necklaces add dimension to this streamlined look. Throw your hair into a top knot and you’re ready to enjoy life simplified! National Peach Ice Cream Day is on July 17. Peaches are most ripe in the month of July, so naturally, they should be paired with the classic sweet summer treat, ice cream. The Chinese are usually credited with making the first ice cream as far back as 3000 BC, and the ice cream we know and love today is said to have been invented in Italy. We call it ice cream because people used to take sweet cream from milk and chill it with ice as much as possible. So what are you waiting for? Grab some friends, and treat yo’self! 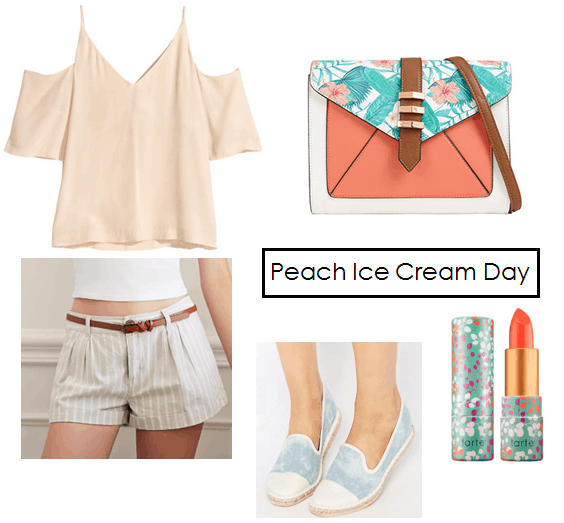 This outfit is just peachy (sorry, not sorry) for an easy-breezy day enjoying ice cream by the pool. Off-the-shoulder tops are having a major moment in the fashion world right now, so take advantage and show some shoulder! These striped linen shorts are airy and comfortable, and they won’t stick to your legs when you sit. This crossbody purse screams summertime with its tropical-print flap and pop of coral. Throw on some comfy shoes, and you’re ready for a fun ice cream date. National Lipstick Day is July 29 to celebrate one of my favorite parts of getting ready in the morning. About 80% of women in America wear lipstick, so it is fitting for us to dedicate a whole day to it. On the bright side, Winston Churchill protected lipsticks from being rationed during World War II though all other makeup was controlled by a quota because he believed it boosted citizens’ spirits. You go, Winston! To celebrate National Lipstick Day, what better to rock on your lips than the cult classic, MAC’s Ruby Woo? Wear a white tie-neck top with black trousers for a modern look that keeps the focus on your lip color. Slip on a pair of these strappy shoes – I love their chic silhouette. Swipe on some red nail polish, grab these cat-eye sunnies with gold corner accents, and you are ready to conquer the world. What lipstick makes you feel invincible? Are you excited for an excuse to eat peach ice cream? What do you do to unwind after a long day? Be an enabler to my obsession with lip products and sweets, and let me know in the comments!